At Orlando Advance Chiropractic, it is our goal to help practice members and their families achieve their God given health potential. It is our desire to equip our community with better health strategies through completely natural, drug-free health care that allows the body to heal itself. With Principled Chiropractic, nerve interference is removed with specific scientific chiropractic adjustments, creating healthy cell metabolism, proper organ function, and restoring mental and physical well-being. According to the research, that means more energy, better movement, and a stronger immune system! More and more families are choosing Principled Chiropractic because nobody is ever too young or too old to obtain a life of optimal health. Dr. Paolo Wong had the privilege to learn under Drs. James and Antonietta Galgano, lead instructors of the Pierce Results System. The Pierce Results System is proven to use the most advanced chiropractic tools in the profession today to help you get better more precisely, more effectively, and in less time and visits than “traditional” tools and techniques. 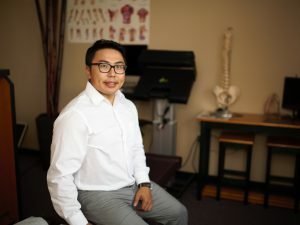 Dr. Wong is one of twenty five chiropractors certified to practice the Pierce Results System in the country. Dr. Wong received a Bachelor of Science degree in Exercise Science from Florida State University in Tallahassee, FL. He then moved on to Life University of Chiropractic in Marietta, Ga where he received a Doctor of Chiropractic degree. 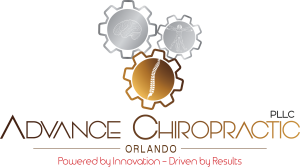 Welcome to Orlando Advance Chiropractic! Did we say that we would love to work with you? So dont be shy, get in touch!